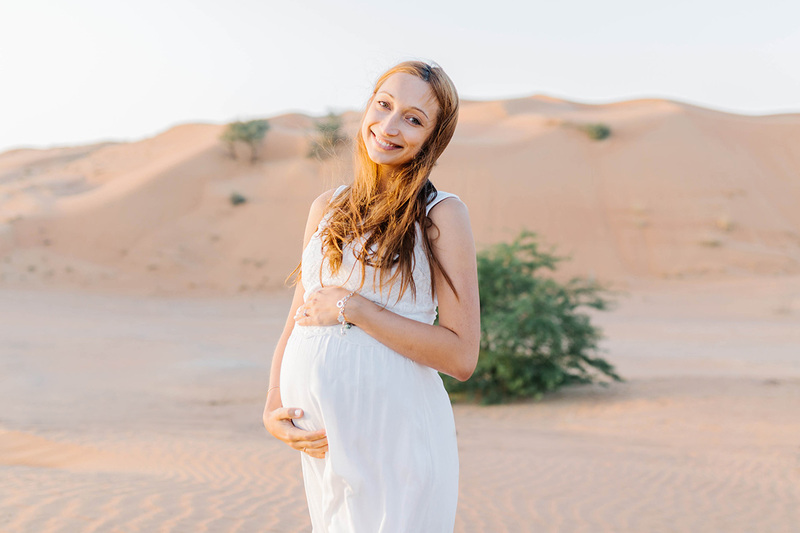 Today I blog something very special to me, not just a beautiful maternity photoshoot in Dubai, but the story about my dearest friends and their amazing journey to be parents for the first time. I remember well the day we’ve been messaging, Alona was trying to arrange a skype call with me, but finally, couldn’t resist and told me she was expecting a baby via WhatsApp. Oh, my! It was an unbelievable feeling. 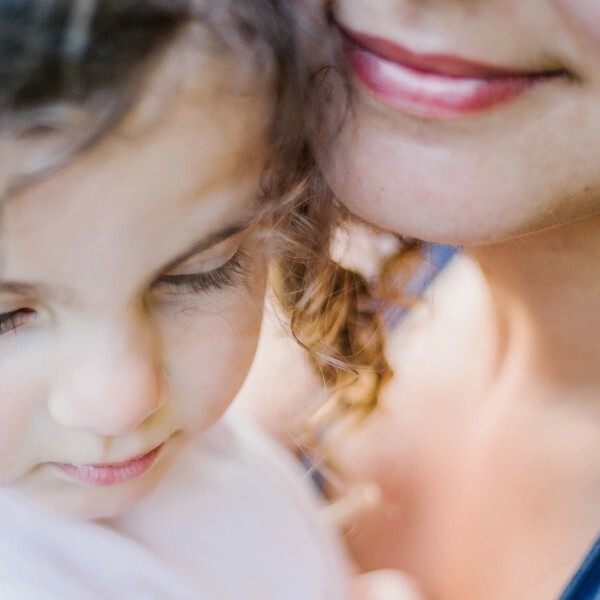 She wasn’t a first of my friends who got pregnant, but I had an overdose of happiness by them. Almost in a jiffy, we arranged my trip to Dubai! 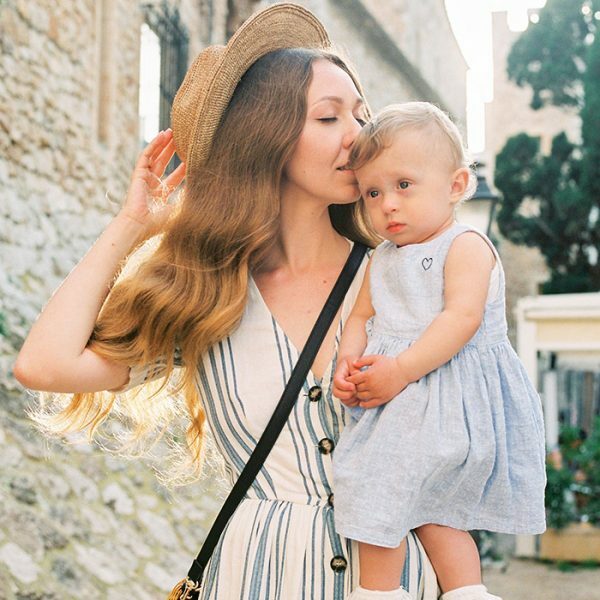 I know Alona for almost 6 years (time is fleeting) when we’ve been studying at Barcelona University. At that moment, she was already dating Alex for several years. I could say I’ve been a watcher of their beautiful love story that ends in such an amazing way. Both, Alona and Alex are adventures lovers, that kind of people who don’t think twice if it’s a great idea, they’re always up for it. Whether a trip or simply going out. They keep living in this crazy, chaotic and full of skyscrapers city and growing up their lovely son Luca for almost 3 months now. 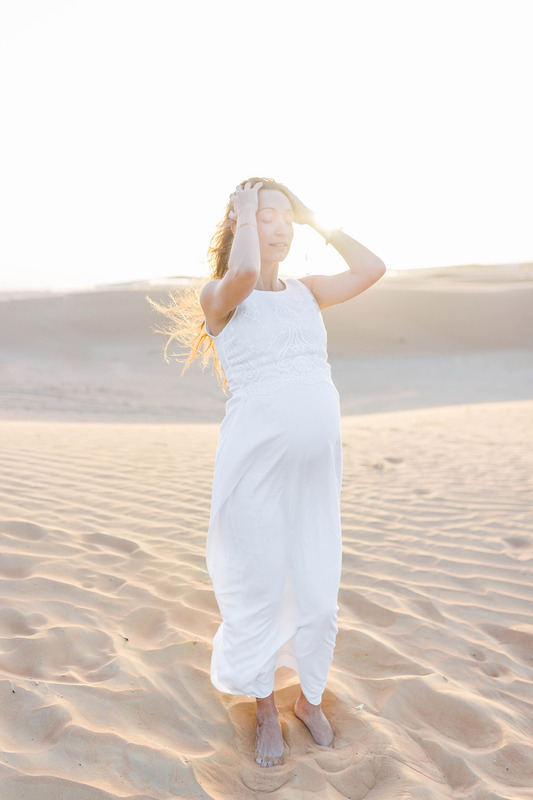 We’ve planned that it would be maternity photoshoot in Dubai and of course somewhere in the infinite sand dunes outside the city. Today I’m going to reveal the session with both Alona and Alex in the desert. 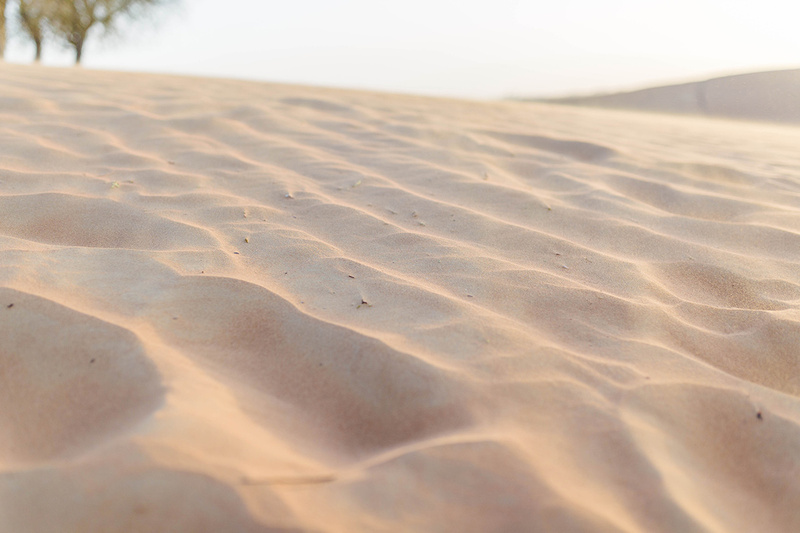 It was on our way back from Fujairah when rocky landscapes turned into beautiful orange sand dunes. It was about 5 PM, a golden hour in the desert with a pretty location with trees and withered branches.